RTL Group has set out plans to expand its video-on-demand services by developing a joint VOD tech platform and by making “significant investments” into more local and exclusive content. Laying out its strategic priorities for next year, the company said that it will develop a joint tech platform that all its streaming platforms and broadcaster video-on-demand services will ultimately migrate to. RTL Group’s units in Germany, France and the Netherlands will use the new platform, which will allow for a high level of flexibility for local operations. In support of the plans, RTL said it also intends to strengthen the collaboration between production arm Fremantle and the group’s numerous broadcasters. At the same time, Fremantle will continue its push into high-end drama series in key countries such as the US, Germany, UK, Australia, Italy, France and the Nordics. Discussing the strategy at RTL Group’s Management Summit 2018, which bought together over 90 executives across the company in Luxembourg, RTL Group CEO Bert Habets described the plans as a “comprehensive group-wide transformation journey”. 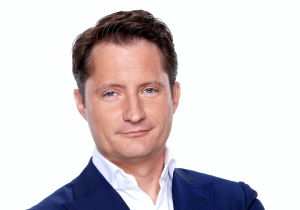 RTL said it will present more details of its growth plans in VOD with the announcement of the Group’s full-year 2018 results in March 2019. The company previously announced plans to relaunch its TV Now video-on-demand service this winter, with a new platform additional exclusive content branded as TV Now Originals, online-first formats and exclusive and non-exclusive third-party licensed content.